Service Costs > How Much Do Newspapers Cost? How Much Do Newspapers Cost? A newspaper subscription is a type of business model where a customer must pay a fee to get newspapers on a daily basis. The price for a newspaper subscription varies depending on the type of newspaper, the geographical location and the number of issues needed throughout the week. How much does a newspaper subscription cost? On average, a newspaper can cost anywhere from $8 to $30 per month or up to $360 for the entire year. Single copies, often found at the local gas station or bookstore, can cost $1 or more; again, depending on the brand. If you just want to subscribe to the digital version, most newspapers charge about $10 to $15 per month. Sunday print only deliveries, which often include circulars and coupon booklets, can cost about $3 to $5 per week or $10 to $15 per month, on average. However, if you were to purchase the Sunday paper in the store, it should be less than $2 per copy. 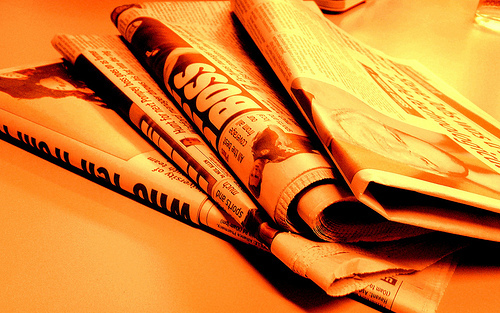 For example, Subscription.com offers newspaper subscriptions for over 200 newspapers from all over the United States. The subscription rate can range anywhere from $20 to $200 with subscription length ranging from eight weeks to 1 year. DiscountedNewspapers.com, a similar website, offers subscription opportunities for newspapers in any region, a service which can cost between $1 and $8 per issue. Refer to our table below to see what most of the popular newspapers are charging as of 2017. Star Tribune $7.50 per week for physical and digital, or $3.79 per week for digital access. Washington Post $12/week or $89 per year for physical or $10 per month for digital version. The subscription fee will cover the delivery of the newspaper to your house. The newspapers will be delivered to you early morning, usually by at least six to eight a.m., through different mediums, which is often the USPS mail carrier or the newspaper carrier if local. Papers will be bundled to protect from bad weather such as rain and snow. Sunday newspapers can come equipped with circulars that include coupons, local store ads, and even free samples such as new cereals. Out of state subscriptions can be mailed for an additional fee. For example, if you want to receive the Detroit Free Press in Los Angeles, additional mailing fees can apply. Get the newspaper directly from the publisher as they are able to provide discounts that can reach up to 70%. Consider purchasing Kindle versions. These e-Reader versions are the same exact newspapers, but it can be sent directly to an electronic device. By subscribing this way, one can save up to 70%. Consider going to the newspaper’s website directly. These websites can offer a limited amount of content, but it should be free to view. Even if you’re currently subscribing, call the newspaper directly to see if they can offer a better rate. Nine times out of 10, they can offer a better deal. Some newspapers allow you to subscribe to certain days only. For instance, many newspapers will allow you to subscribe to Sunday only papers, saving you up to 70 percent off. The more months you purchase ahead of time, the more you can save. Subscribing to an annual subscription, for example, could save you close to 30 percent or more. Annual rate mailed – 1X/week! $90/mo is more than my electricity bill. Complete BS for a printed PDF.